Cagayan de Oro City, according to the DOT is best described as the “happiest place in the Philippines. 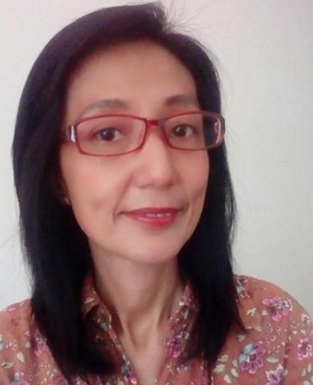 The “City of Golden Friendship,” as it is sometimes called, is home to especially friendly and warm Filipinos. 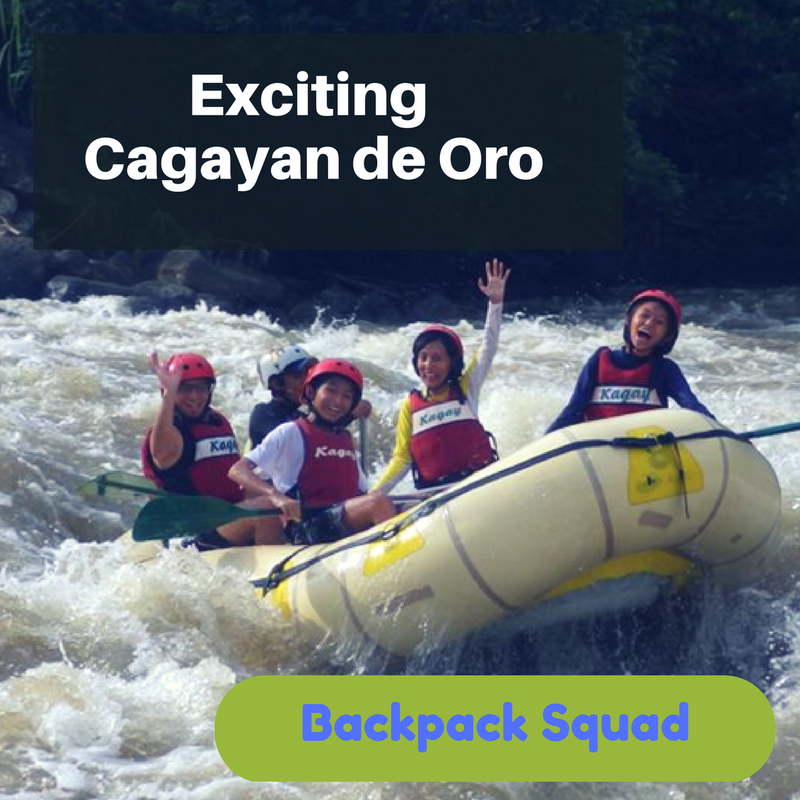 Their ready smiles are a fitting welcome, with Cagayan de Oro's accessible location also making it the “Gateway to Northern Mindanao”. To reach CDO, you must book a flight, and travel to Laguindingan Airport. It is 53 kilometers away from city proper, average travel time is 50minutes to an hour. 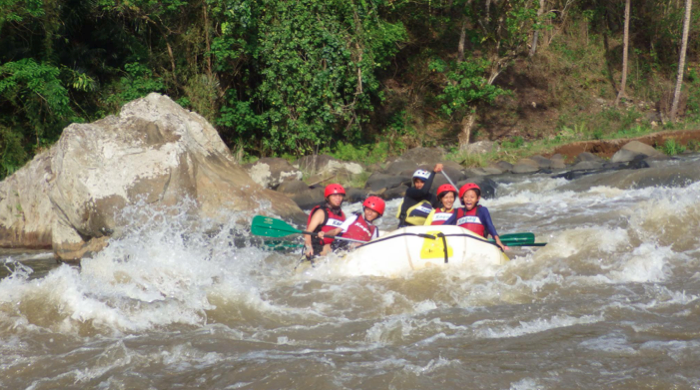 To truly enjoy CDO, where adventure, excitement, nature and city living blend well with each other – you must be ready to stay at least 2-3 days. If you are the type of traveler who wants to maximize your trip, add another 2 days. Because there are more places explore that are near CDO. Travel an hour and a half by land and 2 hours more by ferry and you will reach Camiguin. Or take the bus or car to Bukidnon. Or choose the opposite route, and it will take you Iligan City where the famous Maria Cristina Falls can be found. Cagayan de Oro City is really the gateway to more provinces to explore. But for now... let’s concentrate on Cagayan de Oro City and what it has to offer, especially for the thrill seekers. 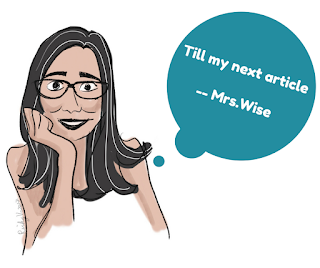 First, I have a confession to make. Our day 1 in CDO was kindda like an "amazing race". It was a looong travel from Laguindingan Airport to city proper. Traffic was bad that day it took us more than an hour. We were panicking because we are still in the van, Kagay was already texting us for our 1pm white water rafting schedule. And yes... because of the traffic, we were late. So we hurriedly checked in our luggage in the hotel, grabbed a quick take-out burger, then waited for Kagay to fetch us. 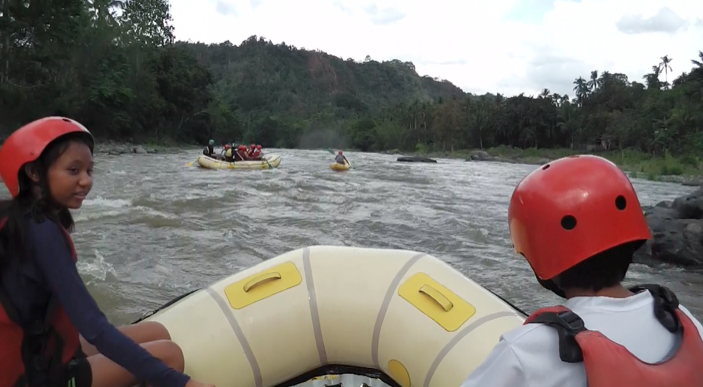 But thanks to Kagay they still accommodated us, BUT the experience was shortened by a few rapids, because we cannot stay in the river when its already dark. 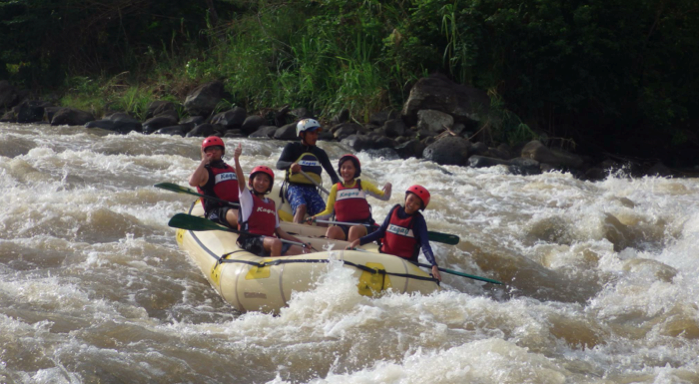 Cagayan de Oro River is famed for challenging rapids that quickly follow one after the other. It is really an experience like no other and well worth the initial scare. They say the wild river helps you discover your inner strength and endurance. And yes, they can be enjoyed by school age kids, at least 6 years old to tweens to adults. This adrenaline pumping experience is memorable. And you can experience this throughout the year in CDO. The city is truly is the “whitewater rafting capital” of the country! Mapawa Nature Park is a vast property abundant with magnificent waterfalls, imposing views and exciting activities. It offers a relaxing environment for those seeking peace and solitude as well as a site for fun and adventure for kids of all ages. We have always wanted to go to Mapawa. We were booked here in 2014, but due to unavoidable circumstances, the trip was cancelled and they gladly honored our down payment, when we finally rebooked a year after. We reached Mapawa Nature Park after riding the jeepney from CDO proper. We had an early adventure, when we rode the habal-habal to reach the entrance of Mapawa. It was the first time for me, and the kids to experience this motorcycle ride. Upon reaching the receiving area, we did a short briefing, and offered prayers for safety. Then off we go for some trekking. We passed by one of Mapawa’s attractions, a 350-year old Dao heritage tree. After walking for 15 minutes, we reached our first adventure: the WATER SLIDE! It was 20 ft. high, not too high for my children and husband, but it was already terrifying for someone who cannot swim, like me. The family went one by one. The facilitator asked me to sit and cross my arms, then he pushed me before I can say anything. I started sliding, very fast, the water very very cold. And before I knew it, for just a couple of seconds, I was under water, grasping for air. Thanks to my vest, I floated easily. The next adventure was the BODY RAPPEL, using two ropes, you must climb down a slippery waterfall. Then we trekked some more. Because of the trees and presence of water, it was a refreshing walk, with birds and greeneries around. Then we reached the third adventure, the CLIFF JUMP. The cliff is 25 ft. high, my heart simply pounced in fear when I looked down. The facilitators assured us that the water below is at least 15ft deep so there was no way we would hit the bottom. For non-swimmers like me, they let me wear my life vest. It was important to take note that for those who will jump, they must keep their feet together as if in standing position, hands to the sides or on the chest, or one hand on the nose. The impact of the jump can be painful if legs or hands are spread apart. First to jump was my husband. After a few minutes, my son did it too. 45 minutes later, me and my daughter still didn’t have the guts to do it. According to the men in my family, the jump was simply nerve-wrecking at the start, but very rewarding as soon as you hit the very cold waters. Because of the adrenaline rush, my son did it for 3 times. After the jump, we were treated to a packed lunch of delicious adobo. 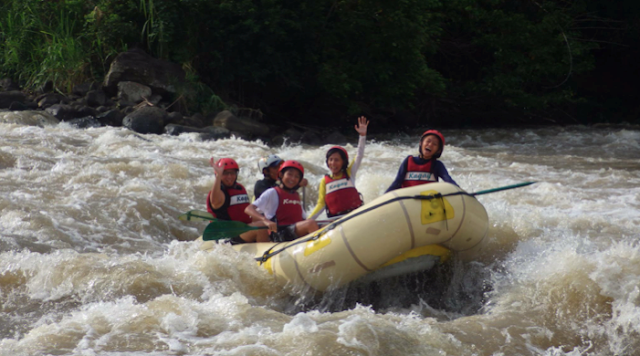 It was included in the Mapawa River Trek package. 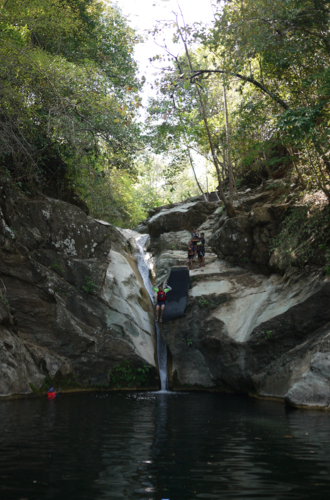 After a much needed rest, and a few dips in the water... we were off to our next adventure – the 65-ft RAPPEL! This is the final activity. When you looked down, you will not imagine yourself going down. It was so high, you cannot even see the people waiting for you down the falls. 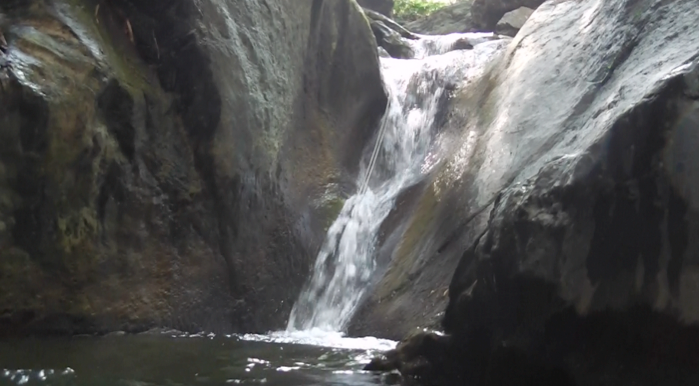 And as an added adventure, you will rappel besides a cascading waterfalls. Strapped on a harness, I began my climb down. It was very hard for the first few steps. I cannot find the ideal position to do it. But once I gained momentum, the climb down became easy. And I had the guts to do several stops for picture taking! The entire Mapawa River trek and canyoneering experience lasted for 4 hours. It was definitely worth it – we enjoyed the lush greeneries, the cool waters, and the nerve-wrecking adventure! JUST SAY: To politely say “please” you say “Palihug”. To say “you are welcome”, you say “walay Sapayan.” To appreciate something nice, you say “Tsada”. RIDE THE: Motorela. And when you ride the jeepney, be sure to have some coins at hand. The jeepney drivers don’t usually responds to “para mama” or “para sa tabi” – but use your coins to gently tap any part of the jeepney and he will surely get the message to stop. TRY TO TASTE: the Sinuglaw. A combination of “sinugba” or grilled pork meat that has been sliced or cut into chunks, and the “kinilaw” or raw fish being bathed in vinegar with ingredients like ginger, onion, salt, suha, salt and a spice of red chili pepper. And don’t forget to practice this phrase “Tsada Kagay-an! Ali namo sa CdeO" which means, Cagayan de Oro, a beautiful place: Come and visit us now!